Does your organization offer real-time, mission-critical services? Do you require predictable performance, high uptime and availability, and low TCO? If you answered yes to one or both of these questions, it is likely that your Cassandra database solution isn’t cutting it. Fill the form and read the white paper to learn more. 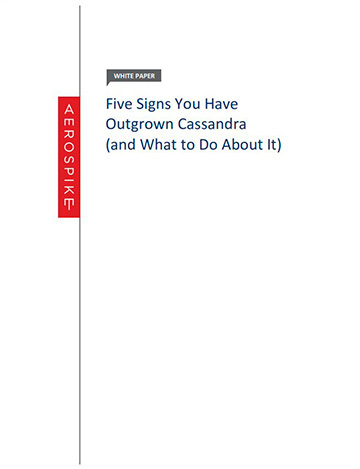 If you have Cassandra deployment for mission-critical applications it is likely that your clusters have been growing at an unexpected rate, causing your TCO to balloon. Or perhaps cascading failures are just something you’ve learned to live with.